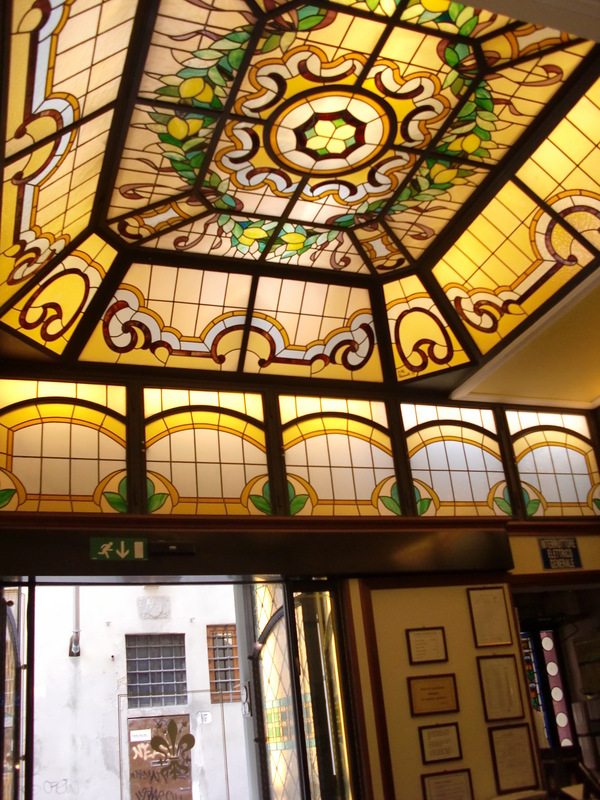 I took the train from Riomaggiore to La Spezia and from there to Florence or Firenze or whatever they want to call it here. 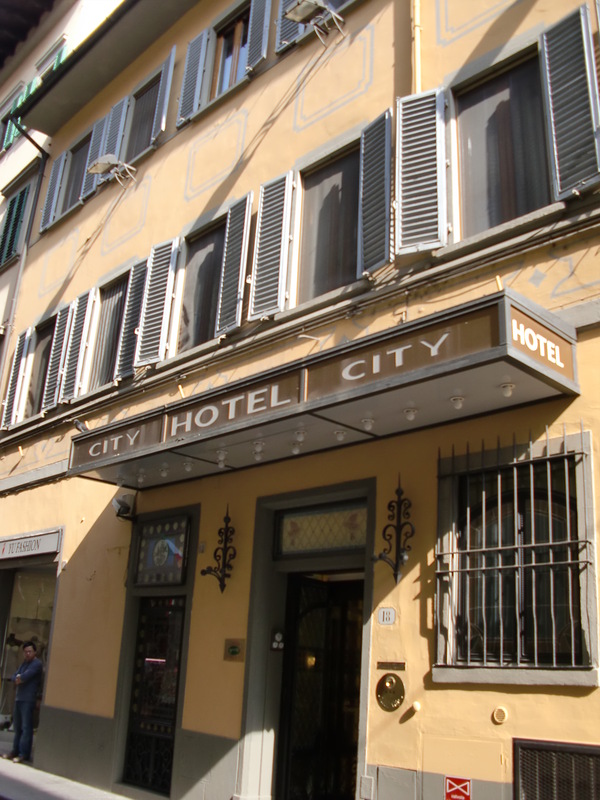 I checked into a small hotel called the City Hotel or Hotel City, or, again, whatever they wanted to call it. I think they were a little confused themselves. Behind the rough exterior was a fabulous lobby that looked like it belonged in an opulent villa. They gave me the room key on a big ring so I wouldn’t lose it. 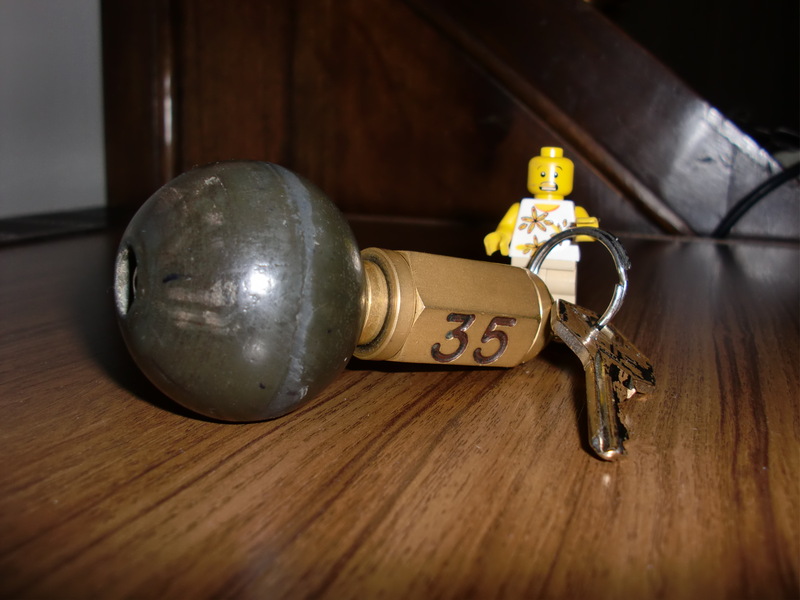 The size of the key ring made a different problem for me, though. I left my key with the front desk and set off to see what the city had to offer. 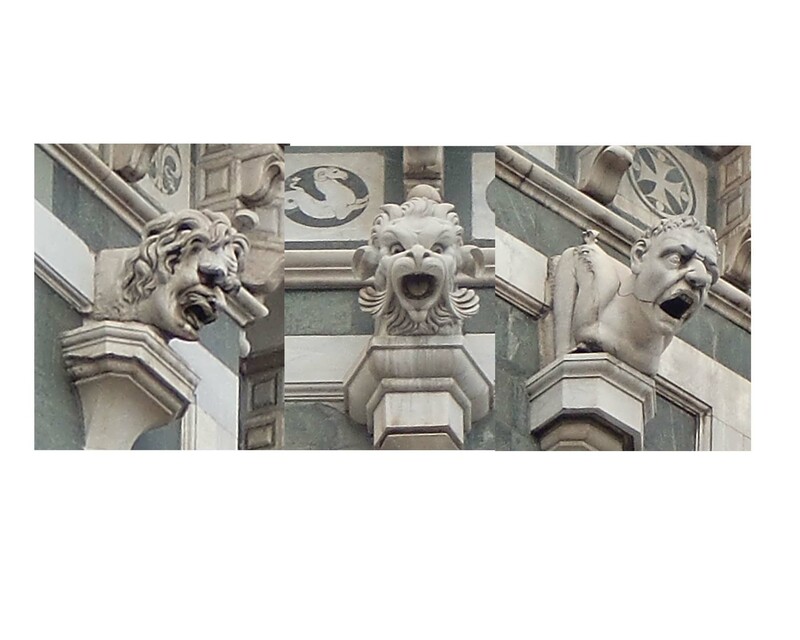 I stopped by the famous Duomo. 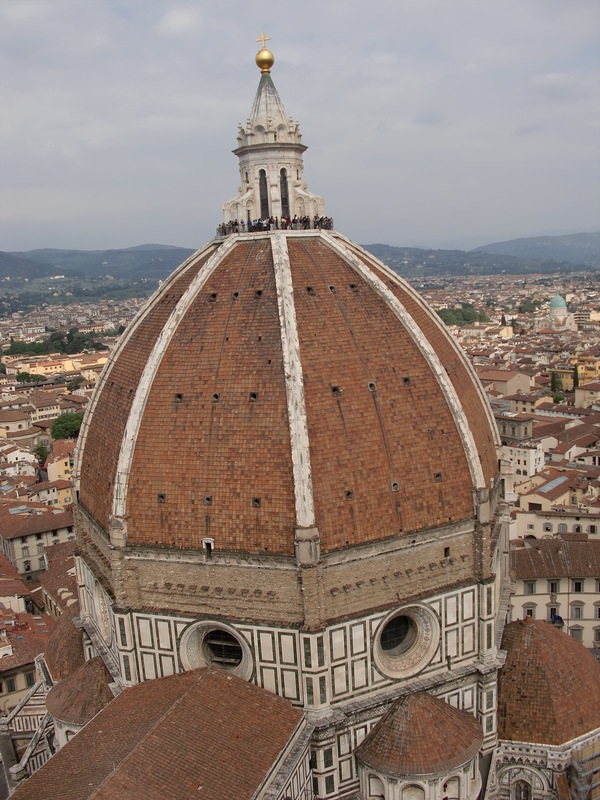 I wanted a picture of the dome from the outside so I climbed up the wall of the Campanile and took some pictures from there. It was a long, treacherous climb, clinging to the mortar between the great marble stones, but finally I made it to the top. Well, that wasn’t really the top so I kept going until I finally got my shot. I was the first being to ever scale the wall. He is not the first one to go to the top. Anyone can do it by using the long, narrow staircase inside the building. Bubba didn’t make the first step and had to be assisted the rest of the way. There is an anti Bubba fence designed to keep small figures from leaping into the crowds below. While the mesh may not have been fine enough, he kept his feet firmly planted on his base. On the way down I said , “Hi” to some friend heads of mine. Wouldn’t they look nice on tiny yellow plastic bodies? 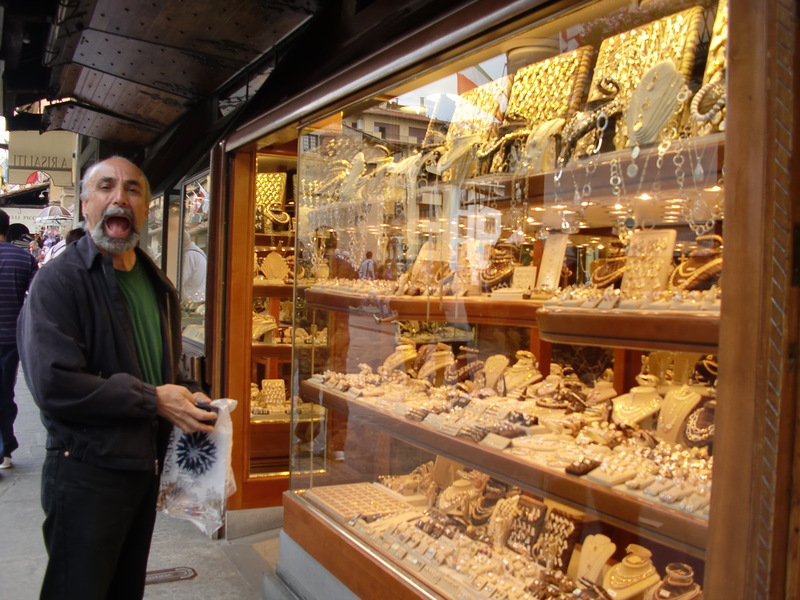 They tell me there are a bunch of museums and churches around but I wanted to go shopping on the famous Ponte Vecchio, where all the jewelers are located. I thought I deserved some bling. The bridge is lined with shops that leave tourists open mouthed and open walleted. You can see these poor guys outside every store. Here is a picture of one of them. 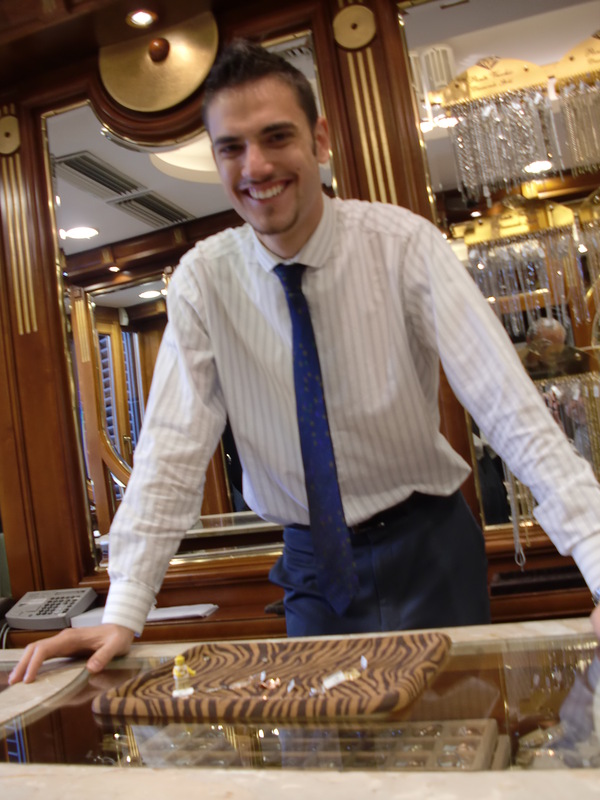 I strutted right in and pulled out my credit card and asked the clerk to show me some gold! He was nice enough to lay it out in the tray for me to examine closely. 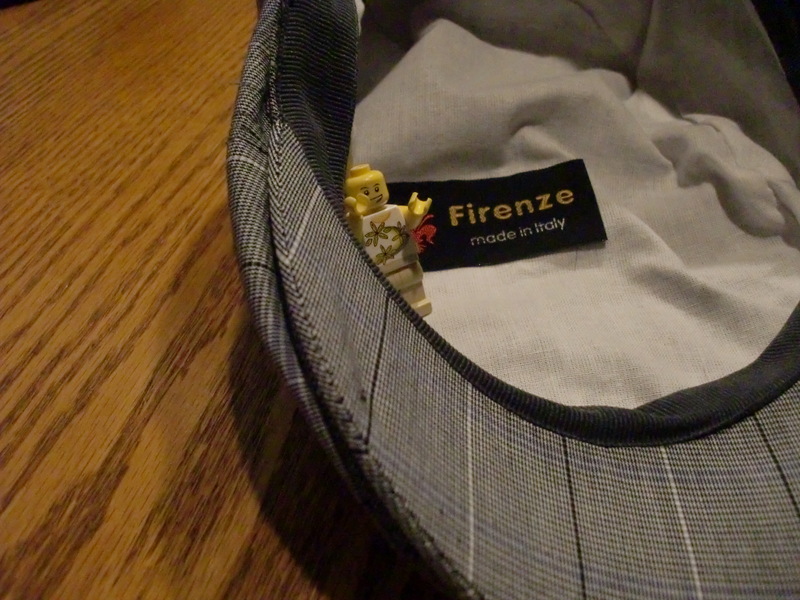 Even those small pieces proved to be a little too heavy for me to handle so I settled for a hat from one of the street stalls instead. The man who sold it to me said it looks just right but I think it is a little too big. What do you think? 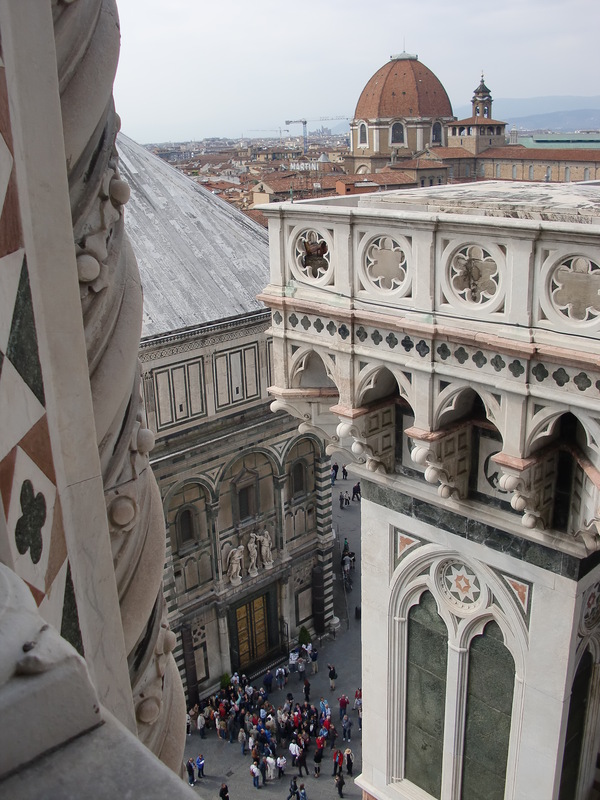 Next, I will go to the city of Pisa. The city fathers have asked me to stop by and try to fix a big tower there with a bad foundation. I may drive my motorcycle; I hear the Harley Owners Group will be there. 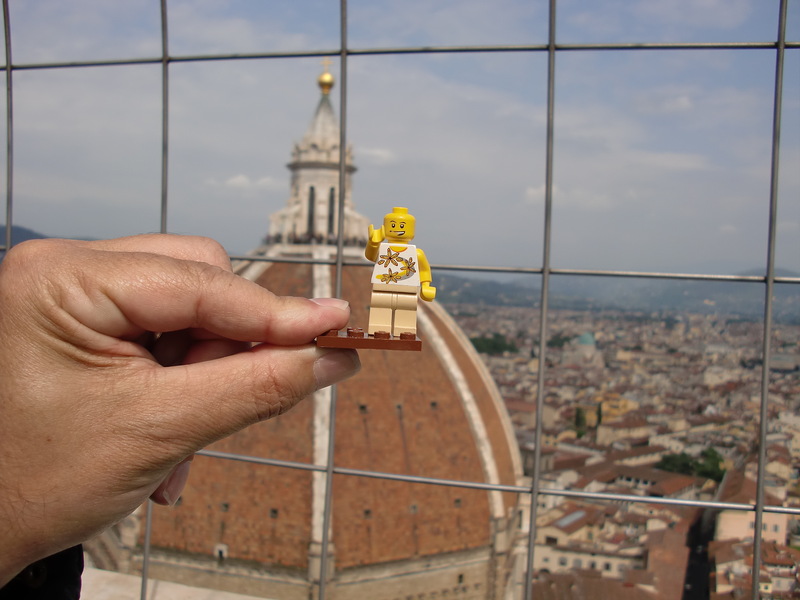 This entry was posted in Humor, italy, Leggos, Legos, Travel and tagged Duomo, Firenze, Florence. Bookmark the permalink.